This was such a fun page! I swished several colors of acrylic paint onto the background with a baby wipe, and then blocked out a portion on the left side of the page with a stencil I made from a magazine image. I dabbed black acrylic paint around the edges, blending it out. A little washi tape, some rubber stamping, and the word “blue” torn from a magazine finished the page. I did a little handwritten journaling following the shape of the woman’s figure on the left side. 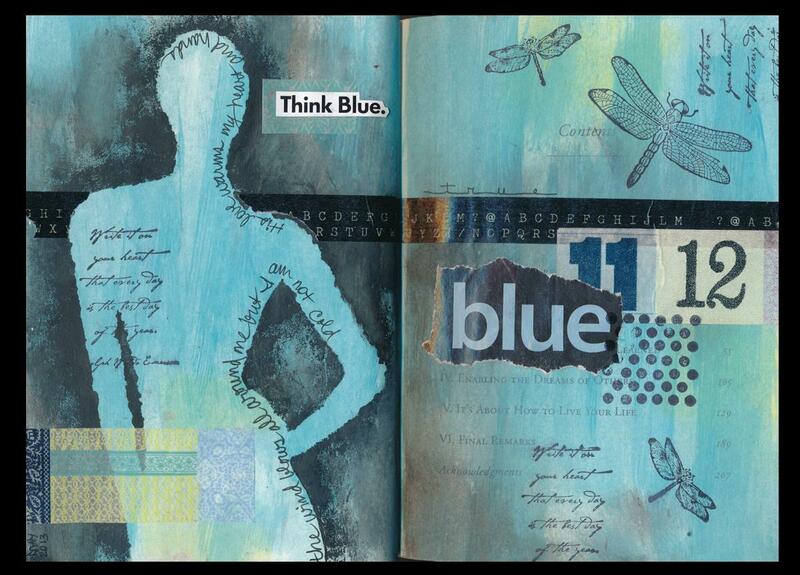 Click here to see some of my other art journal pages.